We got our first look at the one of the iconics from the upcoming Advanced Class Guide this week. Jirelle, the swashbuckler (gunslinger/fighter mix). She looks amazing and has a really cool story to boot. Speaking of boots….. aren’t they awesome? 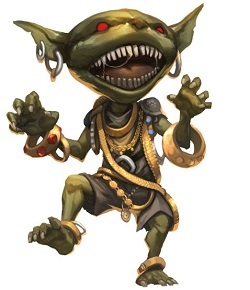 As pointed out in the discussion, there’s almost as much Taldor in her outfit as The Shackles. This is the most literal interpretation of her look I found, without going full-on pirate couture. (*cough* McQueen Spring 2003 *cough* Gaultier Spring 2008 Ready to Wear) This is from L’Wren Scott’s Spring 2010 Collection. Give her a cape and boots, and she IS Jirelle. Light puffy sleeves under leather armor. Rows and rows of covered buttons. The requisite pop of colour. 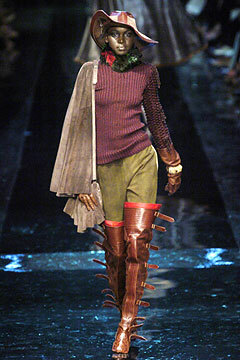 Choosing from the more literal pirate couture looks, I’m going with this from Jean Paul Gaultier’s Fall 2004 Couture collection. Boots, gloves, hat, cape, sufficiently worn in-looking. Sadly, she would not fit in in Taldor. 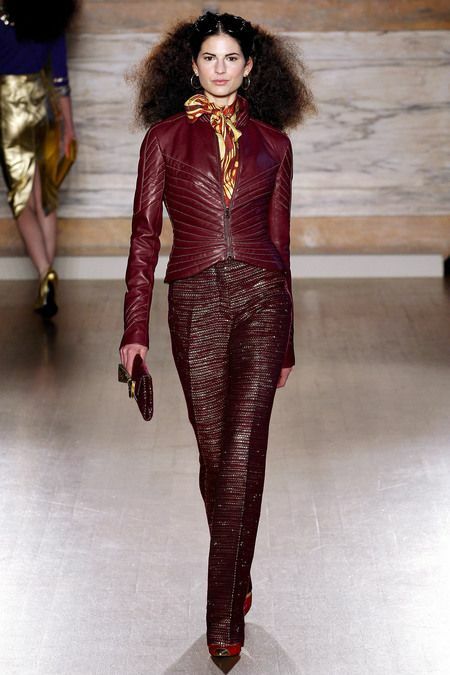 L’Wren Scott really captures the swashbuckler essence. Even her super girly, pink suits have a swagger to them. I can’t quite imagine Jirelle as a Lady who Lunches, but if she was, she’d wear this. Such is the power of the jaunty hat. 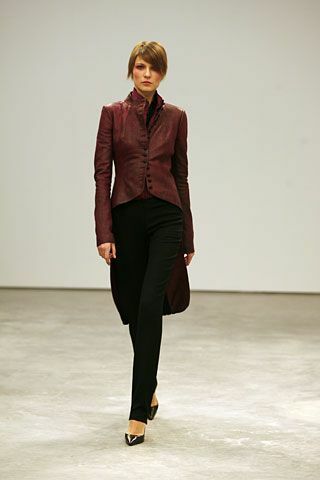 Like the first image, this is from Scott’s 2010 Spring collection. The oblig. pinterest board with other Jirelle appropriate outfits.